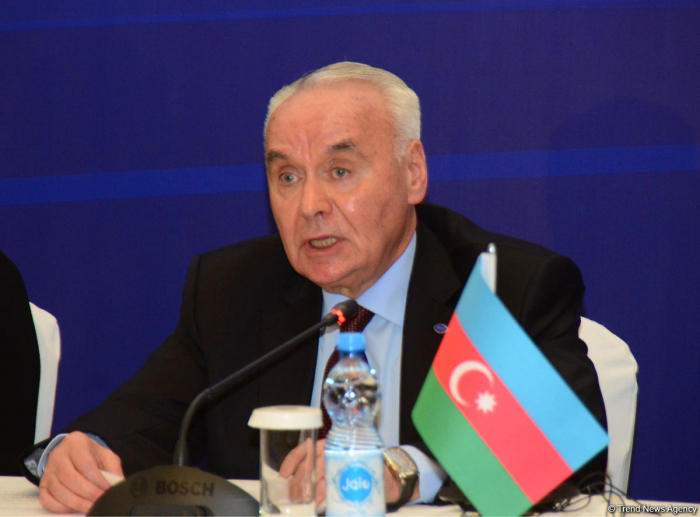 Conflicts in the Organization of the Black Sea Economic Cooperation (BSEC) area affect the development of the region, Deputy Foreign Minister of Azerbaijan Mahmud Mammad-Guliyev said, AzVision.az reports. “We don’t solve political issues within the BSEC, because it is an economic organization,” he said, answering the question whether the Armenia-Azerbaijan Nagorno-Karabakh conflict’s issue was discussed with a representative of Armenia, who participated in the BSEC meeting. Speaking about the recently adopted resolution of the European Parliament on the EU’s Common Foreign and Security Policy (CFSP), Mammad-Guliyev said that by this resolution, the EU confirmed that Nagorno-Karabakh and seven adjacent districts belong to Azerbaijan. “The document states that the EU has the same approach to conflicts in the Eastern Partnership region,” he added.